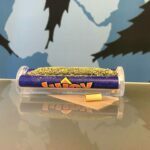 Whether you’re just being introduced to marijuana or you’re an expert who knows everything about this wonderful herb, the first thing you need to decide on is how you will consume it. Will you eat it as an edible, perhaps as part of a delectable chocolate bar, or smoke it in a joint or bong? The options are both exciting and potentially confusing. Especially as it relates to bongs. 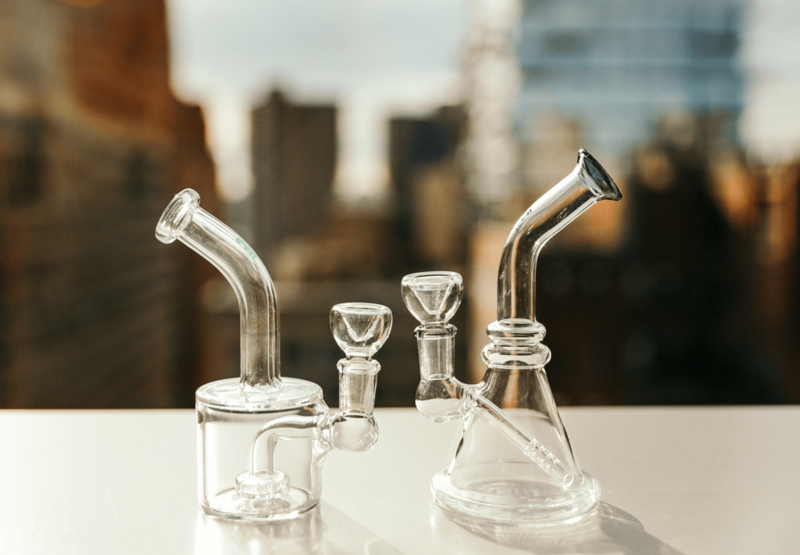 Bongs come in a wide range of different shapes, sizes, and designs to choose from, so to keep it from getting too overwhelming, we’ve compiled this guide to help you in your search for the perfect match. Bongs and water pipes come in many different designs and shapes, each specific to what you will be using it for, and how often you will use it. 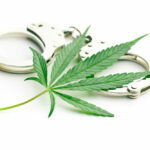 The most commonly used types are beaker and straight tube bongs. In distinguishing the two, you will notice that beaker bongs are wider at the base and straight tube bongs have a smaller base. If you’re looking to constantly take large hits each time you smoke, a beaker bong is often your better choice. This version will allow you to can add more water to accomplish the goal. In contrast, straight tube bongs use less water, which in turn, produces smaller hits. You must pay attention to this when making your choice because depending on what you want to do with it, choosing the wrong bong can affect the functionality of it. Especially with your first bong, it is important to think about your lung capacity. It sounds obvious, but it makes a huge difference in your smoking experience. If a bong has too many percolators or is too tall for you to inhale and clear, then you will lack the payoff of the experience. If you are unable to clear your bong in one hit, you will be left with stale smoke, which has an unpleasant taste. If a bong is bigger and the mouthpiece is too wide, it inhibits your control of the hit. It’s important to invest in something you will be able to use and be comfortable with, especially since you will likely use it often. If it’s your first time considering a bong for smoking pleasure, we recommend you read this. Most bongs do not come cheap, and while there are less expensive options, the biggest feature to look for is glass quality. This means many things, but mostly it means to pay attention to the thickness of the glass. 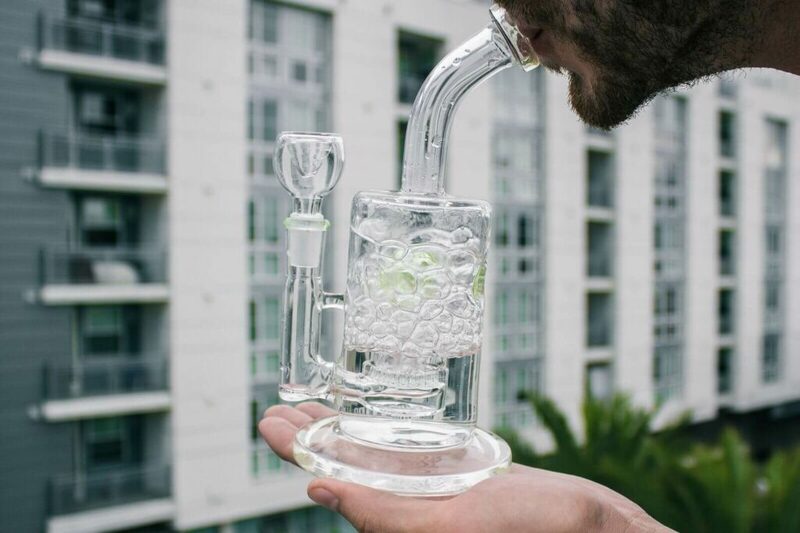 There are also two types of glass, “soft” and “hard”, which dictate the functionality and longevity of your bong. Soft glass comes in a variety of colors and designs, and while versatile, also comes with a cheaper price tag. Hard glass is denser and thicker, with less of a chance of breaking. This is why hard glass bongs are made with borosilicate glass, which, while more expensive, don’t break as easily as soft glass. With regards to thickness, it is important to note that you need something that will hold up for years and something that feels strong and durable in your hand. First, take into consideration your environment and how often you will use it and with whom. Will you use it once a week? A day? Every day of the week? Also, you must consider if you will be using it as your own personal piece or sharing it with other people while they come over to watch Netflix and eat pizza? When thinking about the frequency of use, it is important to remember that bongs require cleaning and upkeep. If you’re thinking of investing in one, be mindful of the kind of person you are in regards to upkeep. If you tend to be more of a lazy person, just remember to be practical and realistic. Be mindful, also, of how big your bong will be and how you will be able to carry it, handle it, and even travel with it. And remember, if you take care of your bong, it will take care of you. Percolators help diffuse and filter your smoke, which gives way to an easier smoking experience. There are plenty of different types that diffuse in different ways. If you are smoking with dry herbs, you will need to use a water pipe, which is indicative of more percs, which allows for cooling and filtration. 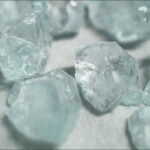 Some of the most popular types of percs are honeycomb, showerhead, swiss, inline and tornado, to name a few. Some bongs contain a single percolator and others contain multiple. As stated above, percolators are tied to lung capacity. So, the more percolators a piece has, more work from your lungs will be required to clear it. The thing that adds to a bong’s versatility is its ability to be customized. This means that it could fit any aesthetic you are looking for. There is an ash catcher which traps ash and eases the smoking experience, by giving more filtration and cooling. In addition to physical attachments, there are also different designs. Some have intricate, more personal designs while others come in shapes similar to different animals or characters. 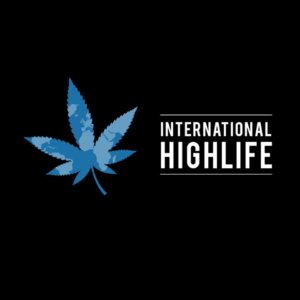 In terms of customization, there really is no limit to it, which allows you to have a divine smoking experience. It is all up to you. Choosing a bong is an important investment. It is something that you will have for life if you are lucky. It is important, as with most investments, to take into consideration your budget, your level of experience, and what exactly you will use it for. Be smart about it and make sure you are doing everything possible to have the most efficient and wonderful smoking experience. Whether you are smoking for your own personal development or with a group of friends, decide what you want and be cognizant of who you are smoking with. 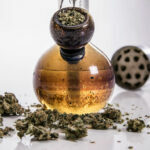 If you pay attention to all these points, you will find the perfect bong for you that will be a match made in marijuana heaven. Give your herb smoke sesh a boost by checking out our full line of bong products here.